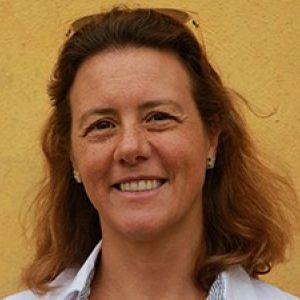 Francesca Baldry is the Collection Manager for the Acton Collection at Villa La Pietra NYU Florence since 1999. She received the post-graduate Diploma di Specializzazione in Art History, Conservation and Art Museum Curating from the University of Florence in 1996. She has worked in English museums (Dulwich Picture Gallery and Victoria and Albert Museum) and collaborated extensively with Italian museums and the Italian Governmental Body of the Soprintendenza. Prof. Baldry has taught university courses in the field of the Visual Arts, including: “Master and Monuments”, “Art Expertise” and for NYU Florence “Florentine Villas” and “Art Collecting and Museology”. Her scholarly work covers: 19th and 20th c. Anglo-American Collecting, Nineteenth Century Art and Conservation; Renaissance Art Media (cartapesta), Tapestries Conservation and Collecting, Preventive Conservation in Museums, House Museum Taste and Management. Her last two publications are: F. Baldry, L’arte di vivere e donare in Italia fra Otto e Novecento: ovvero “A Cup of Tea”, in Voglia d’Italia. Il Collezionismo internazionale nella Roma del Vittoriano, catalog edited by E. Pellegrini, Polo Museale Lazio, Roma 2017; F. Baldry, E. Ciampoli, Conservare la memoria. Vent’anni di Restauri a Settignano, Edifir, Firenze, 2018. She is co-curator of the exhibition and on-line project: Harold Acton in China, 1932-1939: Photographs from the Acton Collection. Professor Chaney gained a first class honors degree in the History of Art at Reading University and completed an MPhil and PhD at the Warburg Institute, University of London. He also has a Laurea from the University of Pisa and is a Commendatore of the Italian Republic. From 1978-1985 he lived in Florence where he was a Ricercatore at the European University Institute, adjunct assistant professor at Georgetown University’s Villa Le Balze, an associate of Harvard University’s Villa I Tatti and taught at the University of Pisa. From 1985-90 he was the Shuffrey research fellow in Architectural History at Lincoln College, Oxford. He subsequently worked for English Heritage as Historian to the London region and lectured in the history of art at Oxford Brookes University. He meanwhile co-founded and was principal lecturer for Anglo-Italian study tours. In 2014 he was visiting professor of art history at the New College of the Humanities in London and January-March 2015 Fernand Braudel Senior Fellow at the European University Institute, Florence. 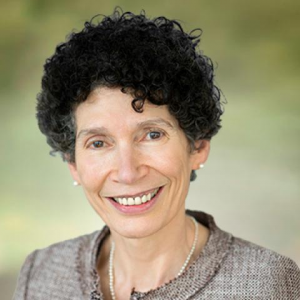 Perri Klass, MD, is Professor of Journalism and Pediatrics at New York University and Co-Director of NYU Florence; she practices pediatrics at Bellevue Hospital. Dr. Klass writes the weekly column, “The Checkup,” for the New York Times. Her nonfiction books include Every Mother is a Daughter, coauthored with her mother, and Quirky Kids: Understanding and Helping Your Child Who Doesn’t Fit In, coauthored with Eileen Costello, M.D., A Not Entirely Benign Procedure: Four Years as a Medical Student, and Baby Doctor: A Pediatrician’s Training. Her most recent books are The Mercy Rule, a novel, and Treatment Kind and Fair: Letters to a Young Doctor. Dr. Klass is the National Medical Director of Reach Out and Read, which works through pediatric primary care to promote reading aloud to young children. Feiran Lyu is from Hangzhou, China. She currently is a senior at New York University double majoring in Global Liberal Studies and Art History, and minoring in Italian. She started studying abroad in college and has studied at NYU Florence for both her Freshman Year and her Junior Year. 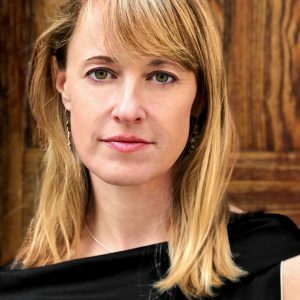 Meredith Martin is associate professor of art history at NYU and the Institute of Fine Arts. She is the author of Dairy Queens: The Politics of Pastoral Architecture from Catherine de’ Medici to Marie-Antoinette (Harvard University Press, 2011), and a co-editor of Objects in Motion in the Early Modern World (special issue of Art History, 2015) and Architectural Space in Eighteenth-Century Europe: Constructing Identities and Interiors (Ashgate, 2010). 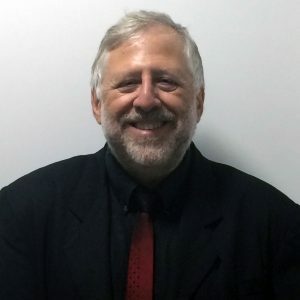 Dr. Martin is currently working on several projects, among them a study of diplomatic and artistic relations between France and Thailand from the seventeenth to nineteenth centuries, and a co-authored book (with Gillian Weiss) entitled The Sun King at Sea: Maritime Art and Slavery in Louis XIV’s France. She is also writing a history of porcelain rooms from the seventeenth century to the present. Peter Stansky, educated at Yale, Cambridge and Harvard, had his career as a teacher of modern British history at Stanford University. 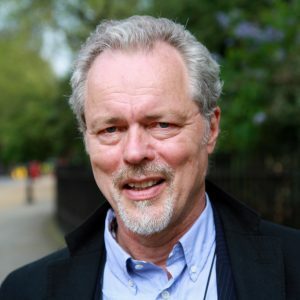 He has written extensively on modern Britain, particularly on William Morris, Bloomsbury, George Orwell, the arts in Britain during the Second World War, and British participants in the Spanish Civil War. Harold Acton played a role in his book: Julian Bell: From Bloomsbury to the Spanish Civil War. His latest book, with Fred Leventhal, is an about to be published short biography of Leonard Woolf. Prof. Waley-Cohen is the Provost for NYU Shanghai and Julius Silver Professor of History at New York University, where she has taught Chinese history since 1992. As Provost, she serves as NYU Shanghai’s chief academic officer, setting the university’s academic strategy and priorities, and overseeing academic appointments, research, and faculty affairs. Her research interests include early modern Chinese history, China and the West, including artistic exchange, and Chinese imperial culture, especially in the Qianlong era. She has received many honors, including archival and postdoctoral fellowships from the American Council of Learned Societies, Goddard and Presidential Fellowships from NYU, an Olin Fellowship in Military and Strategic History from Yale, and a Silver Magnolia Award for Outstanding Contributions to the City of Shanghai. Waley-Cohen’s books include The Culture of War in China: Empire and the Military under the Qing Dynasty (I.B. Tauris, 2006), The Sextants of Beijing: Global Currents in Chinese History (W.W. Norton, 1999), and Exile in Mid-Qing China: Banishment to Xinjiang, 1758-1820 (Yale University Press, 1991). Her current scholarly projects include a revised history of imperialism in China, a study of daily life in China c.1800, and a history of culinary culture in early modern China. 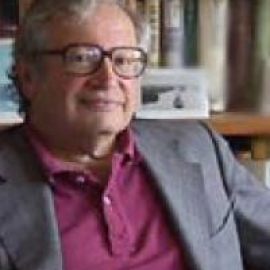 Larry Wolff is the Silver Professor of History at New York University, Director of the NYU Center for European and Mediterranean Studies, Executive Director of the NYU Remarque Institute, and Co-Director of NYU-Florence. His most recent book is The Singing Turk: Ottoman Power and Operatic Emotions on the European Stage from the Siege of Vienna to the Age of Napoleon (2016). He is also the author of Paolina’s Innocence: Child Abuse in Casanova’s Venice (2012); The Idea of Galicia: History and Fantasy in Habsburg Political Culture(2010), Venice and the Slavs: The Discovery of Dalmatia in the Age of Enlightenment (2001), Inventing Eastern Europe: The Map of Civilization on the Mind of the Enlightenment (1994), The Vatican and Poland in the Age of the Partitions (1988); and Postcards From the End of the World: Child Abuse in Freud’s Vienna (1988). He has received Fulbright, American Council of Learned Societies, and Guggenheim fellowships, and he is a member of the American Academy of Arts and Sciences. Prof. Michelle Ying-Ling Huang is the Head of Visual Studies and an Associate Professor at Lingnan University in Hong Kong. She previously taught Art History and Museum Studies at the University of Hong Kong and the Hong Kong Baptist University. 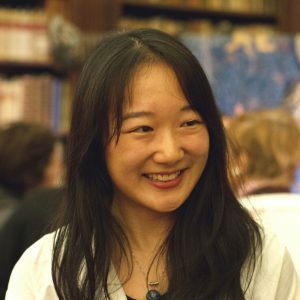 She has also been a visiting scholar at the Victoria and Albert Museum, the University of the Arts London, and the University of Oxford, as well as an intern at the British Museum and the Hong Kong Museum of Art. Michelle obtained her PhD in Art History from the University of St Andrews in the United Kingdom. She has undertaken extensive research into the reception of Chinese painting in Britain c.1880-1980, with special focus on important collections, collectors, curators, scholars and artists associated with the British Museum and the Ashmolean Museum of Art and Archaeology. Her publications include edited books, Beyond Boundaries: East and West Cross-Cultural Encounters (2011) and The Reception of Chinese Art Across Cultures (2014), and a number of articles in periodicals such as Burlington Magazine, Museum History Journal, Journal of the History of Collections, Arts of Asia, and Orientations. With the support of funding from the Research Grants Council in Hong Kong, Michelle has recently been conducting research on “The Collection and Exhibition History of Modern Chinese Painting in Britain, 1930-80” and “Sino-British Curatorial Exchange of Chinese Painting: Laurence Binyon, George Eumorfopoulos and their Chinese Friends”. 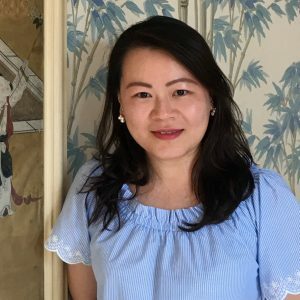 She is currently working on a book manuscript entitled The Reception of Early Chinese Paintings in Britain: Collecting, Display and Interpretation, which will be published by Manchester University Press.